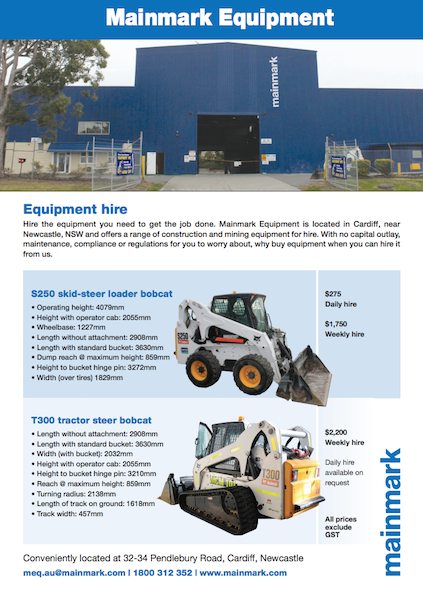 Mainmark Equipment offers long or short term hire of a range of equipment – principally machinery and vehicles – for use in mining and ground engineering. The range includes trucks, bob-cats and cement pumping and mixing machines. With no capital outlay, maintenance, compliance or regulations for you to worry about, why buy equipment when you can hire it from us. Our office is conveniently located at 32-34 Pendlebury Road, Cardiff, Newcastle.